You just can't keep those Wiki-people out of the news at the moment, can you? This week it's the academic community who've been flirting with the user-generated online knowledge fountain that is Wikipedia . The first amusing story is that one of the site's most important editors has been exposed as a grade A fraud. The man, known in the Wiki-community as 'Essjay' has for a long time had the power to settle disputes between authors, validate certain controversial information, remove e-vandalism and edit sensitive pages. But an interview with the New Yorker newspaper led to the man's true identity being revealed, and instead of being an academic teacher of graduate theology, he's actually a 24-year-old Kentucky college student named Ryan Jordan. Wikipedia founder Jimmy Wales requested that Essjay stand down, which he immediately complied with, whilst making the following dig at the canny journalists who exposed him: "I hope others will refocus the energy they have spent the past few days in defending and denouncing me to make something here at Wikipedia better." 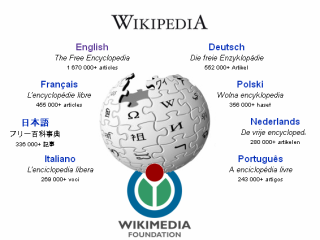 Today we also got wind that postgraduate students at the University of East Anglia are being asked to create and edit Wikipedia articles as part of their assessed studies. This is particularly interesting as Wikipedia is renowned for being unpopular among university lecturers. The worry is that students will use information found on Wikipedia in their essays and exams without double-checking its accuracy. The fact that the encyclopedia's content is created by non-professional enthusiasts means that there have been many cases of false information being written on the site. Students on the Politics course at the East Anglia university have to edit eight current articles on Wikipedia, whilst also creating and writing a brand new one. The module accounts for 12.5 per cent of the students' final grades.